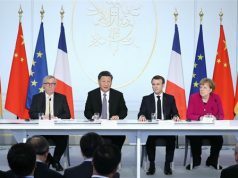 Chinese President Xi Jinping is scheduled to meet with the leaders of France, Germany and the EU during his visit to France, and experts said on Monday that if core members of the EU want to strengthen their unity, they need to be pragmatic and independent on policymaking, rather than submit to pressure from foreign forces and be more defensive toward China. French President Emmanuel Macron is scheduled to host Xi and the leaders of Germany and the European Union’s executive arm on Tuesday to discuss multilateral relations between Europe and China, Reuters reported, citing a French presidency official. The talks will focus on trade, climate and China-European relations, the official said. France wants a more coordinated EU approach to China, rather than member countries focusing on bilateral relations, Reuters reported. The EU faces challenges like Brexit and the rise of populism and right-wing political forces, so when dealing with China, core EU members want to form a united stance, Wang Yiwei, Jean Monnet Chair Professor at the Renmin University of China, told the Global Times on Monday. “China supports EU unity and multilateralism, which are principles EU members want to uphold. But when China shows its respect to France and the EU, European leaders need to understand that China expects mutual respect and support,” he said. 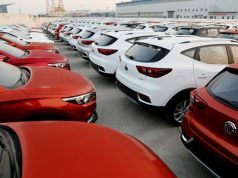 The meeting comes following the release of a document by the European Commission called “EU-China – A strategic outlook” on March 12. Wang said China doesn’t need to only stare at words like “rival” and “competitor,” because before expressing these concerns, the EU has identified China as its partner, so the common interests and values of the two sides are also a consensus among EU members. 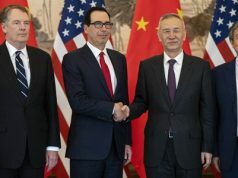 “This meeting is a first step,” the Elysee official told Reuters, adding that the meeting would help lay the groundwork for concrete results at an EU-China summit on April 9. Although some observers are worried that the EU is getting defensive toward China, Shada Islam, director of Europe and Geopolitics at Brussels-based think tank Friends of Europe, said that the EU is not getting defensive but using a more realistic approach to deal with China. The EU needs China on many areas, so it won’t submit to US pressure to adopt a hostile approach to deal with China, she told the Global Times in a telephone interview. “I don’t think the EU has become defensive toward China. I think it’s a more realistic strategy on dealing with a more confident and global China,” Islam said. Advice on issues like 5G security concerns and foreign investment in the document are understandable and normal for any sovereign country and integration organization, Wang Peng noted. “One of Europe’s concerns about China is having a level playing field. EU should make sure that they have clarity and transparency on foreign investment, not just Chinese investment, but foreign investment coming into the region in general,” Islam said. If France, Germany and the EU want to united and assert independence in the international community, then they need to show that they can make independent and pragmatic decisions based on their interests rather succumb to US pressure, Wang Yiwei said.